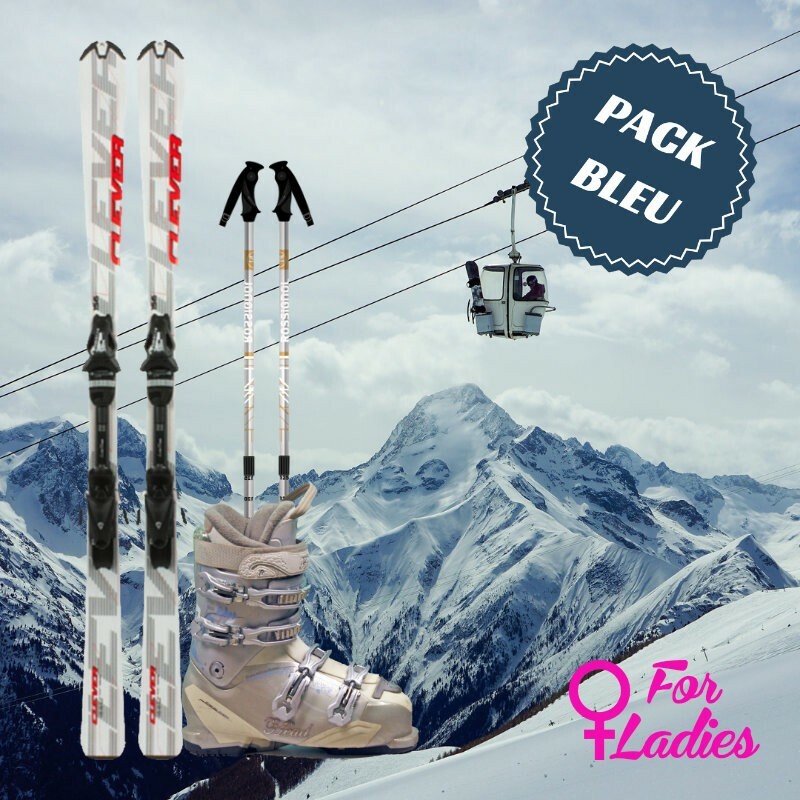 This pack for beginner female skier includes a pair of skis, a pair of ski boots and a pair of ski poles. 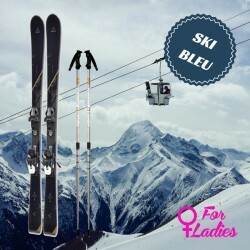 The blue ski package of Skimax is intended for beginner female skiers wanting to learn about the pleasures of gliding. Go to the discovery of the green and blue runs without you tired, while taking in the sights of Chamonix. Our blue range skis light, short, manageable and safe, ideal for skiers who begin. 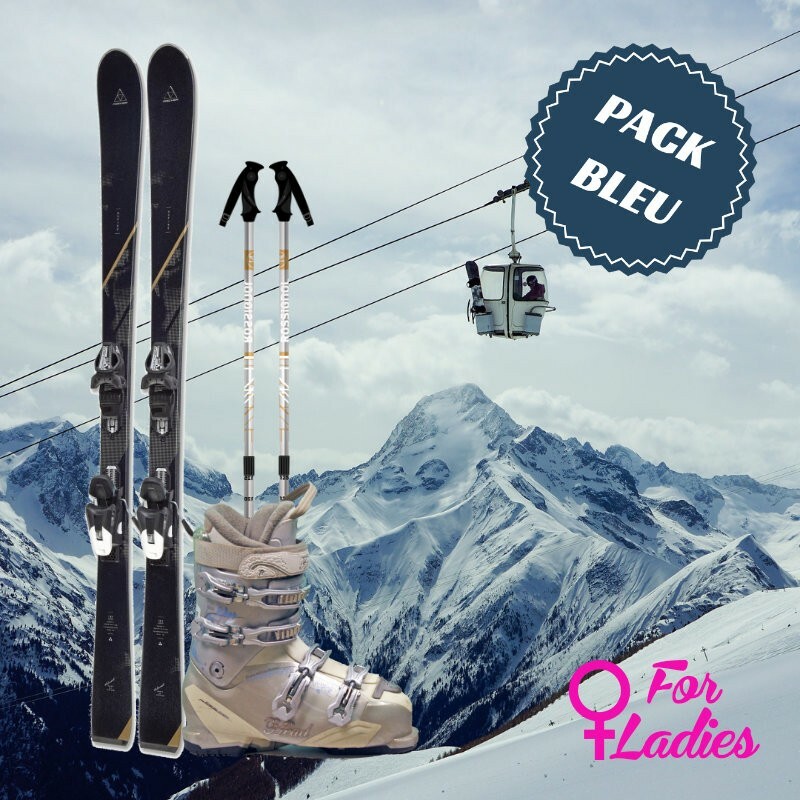 Blue skis are accomagnes of a pair of shoes, tolerant, comfortable and suited to the morphology of the women who make their first turns. 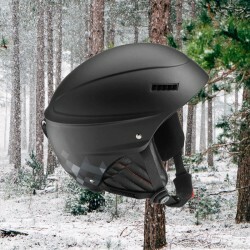 Skimax highly recommend beginner skiers to rent a ski helmet.